Do you hate to be afraid? After reading this book you will definitely look at this emotion differently and realize how fear can be a blessing! Former war correspondent Hesna Al Ghaoui explores fear from so many – physiological, psychological, social and cultural – aspects than noone before, through powerful stories of her own and of exceptional people she’s met from all over the world. Originating from two countries, Hungary and Syria, both concerned about fear due to political and social issues, she argues that fears shape our modern societies on more levels than ever, nevertheless, fear can be a blessing and serve as fuel to reveal our true capabilities and reach our goals. This question was aimed at me a hundred times in the past fifteen years, after I had come home from a TV shooting in a war-torn region. My height has never caused me any self-worth issues. However, I just couldn’t understand how anyone can think that I am not afraid in a war zone. Of course I am! Like everyone else would be. But when I replied this to the unsuspicious questioners, I saw a surprising response on their face: disappointment. As if I had stolen an illusion from them. And this phenomenon really caught my interest. Northern- Hungary and Hesna grew up there, too. She pursued a bilingual secondary school and also studied in the US for a year with the help of a scholarship, then she continued her studies at the Faculty of Law in ELTE University. She also attended higher education in Tunisia where she studied Arabic language. After obtaining her degree of law she started to work as a foreign affairs journalist at the Hungarian Television. She received several awards, twice she has been given a Kamera Hungaria Award for best report and in 2011 she was given the prestigious Prima Primissima Award in press cathegory. In 2014 she received the László Kovács Media Award. Her reports (shot in Gaza and in Northern-Iraq) made it into the finals of the prestigious Montecarlo Television Festival twice. In 2017 she received the ENAM-Amerigo Media Award. 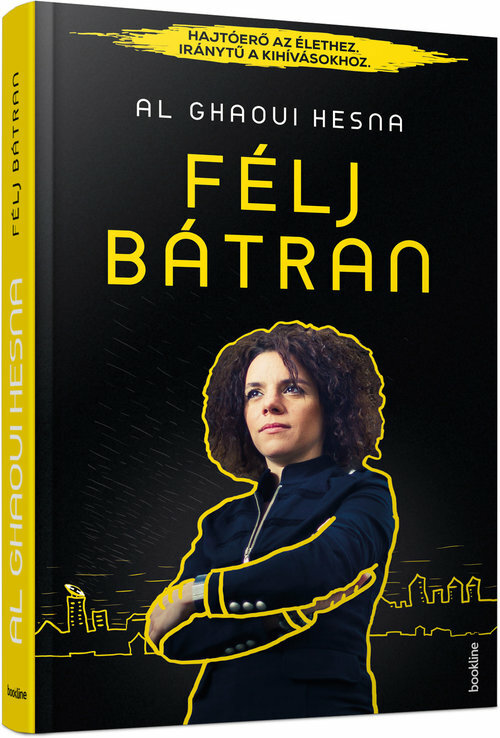 She also made a documentary series called BABEL – The World with Hesna, which aired 37 episodes in the Hungarian Television, focusing on exceptional life stories from all over the world. She is author for three books: On the Land of Wars – about her experiences as a war correspondent, Fear Bravely – about how to transform fear into fuel in our everyday life, and Holli, the Hero – a children’s book, also about transforming fear into positive energy. Besides being a reporter she also undertook a role to be the goodwill ambassador of the Millennium Development Goals. Currently, she is the ambassador and enthusiastic supporter of Heroes Square Initiative. She is regularly invited to give presentations at universities and conferences, mainly about her war correspondent job and about the theme of fear.